This was our first Hackerfarm Agriculture & Technology Meetup and also our first time recording the event. Only Jacinta and Adrian were mic’d so it’s hard to hear the rest of us when we speak. That said, it’s a big step forward and we’ll be archiving all our meetup talks and events. In the meantime, we’ll also be working to improve our recording setup, but we’re excited to be starting on capturing the media. With no further ado…. The Hackerfarm Agriculture & Technology Meetup, Volume 1 featured Jacinta and Adrian talking about FarmLab. In it, they introduce FarmLab, talk about its concept, how it was built, and what it will be moving forward. 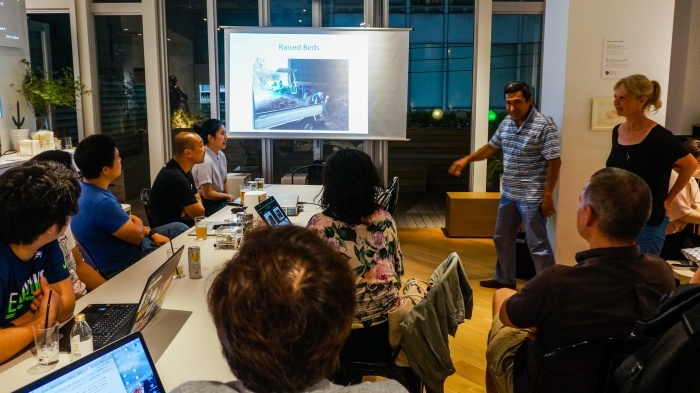 Check out our Meetup page if you’re in Tokyo and are interested in agriculture and technology.